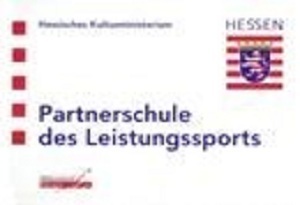 The Goethe Gymnasium is a partner school for competitive sports. Every year we offer the opportunity for students who are talented and competitive in a particular sport, to be grouped together in a sports class, in which their needs to combine academic and sport progress are met. Students who do not join this class but are talented in a sport are also provided with opportunities to further develop their talents in our School Sports Centre. In addition to this the Goethe Gymnasium offers Advanced Courses in Physical Education for our A-level students as ell as many extra-curricular sports activities and clubs. We offer specific activities, support and encouragement for students who are talented in the science subjects in our “children’s laboratory”. Students also have a wide choice of optional courses and extra-curricular clubs in all years in our school. Furthermore, we offer Advanced Courses in Mathematics, Physics, Chemistry and Biology to our A-Level students. This is complimented by a wide range of Foundation Courses in these subjects as well as in Information Technology. Lastly our offer also includes our ‘Energy Course’ .